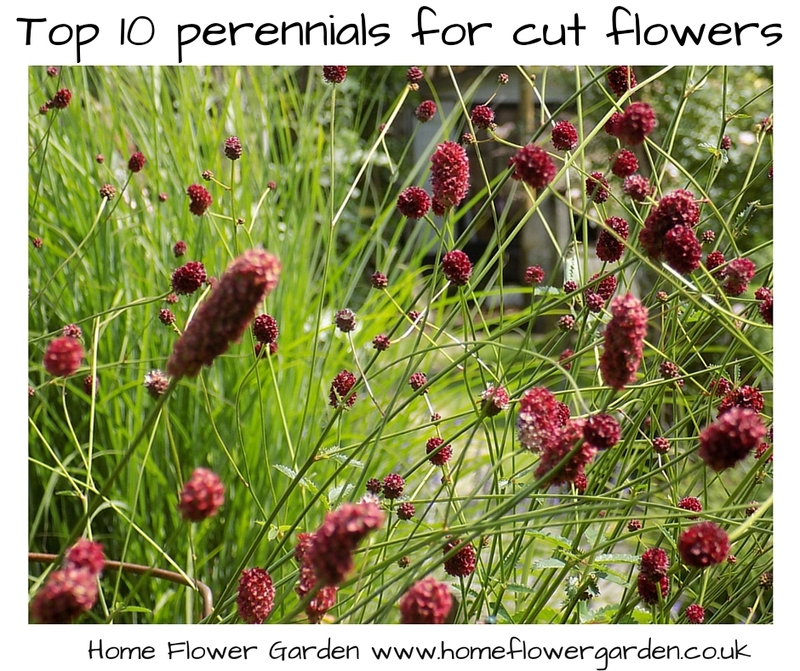 Here are my favourite garden perennials which also make great cut flowers. It was hard to narrow the choice down to just 10 but these are the ones that I really value in my garden. 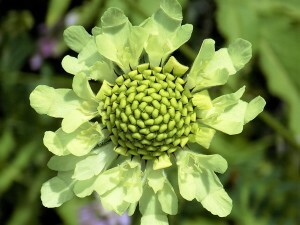 They have to perform in the garden (look good and have a long season of interest) and make excellent cut flowers. If they are also good plants for bees and other pollinators, then all the better! Christmas / Lenten Rose (Helleborus niger / H. orientalis) - Beautiful flowers that are in bloom when there are a scarcity of flowers in the garden. Depending on the varieties grown, hellebores can provide you with flowers from December all the way through to the end of spring. An important early food source for emerging bees. 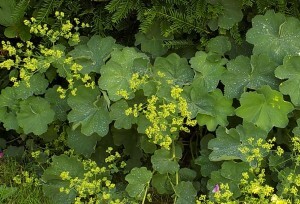 Lady's Mantle (Alchemilla mollis) - Great as a foliage plant and as a filler element (fillers are small flowers that bulk out an arrangement). Grows happily in both the sun or shade. I grow it in both situations for a prolonged flowering period (those in the shade will flower a couple of weeks later than those in sun). 3. Fennel (Foeniculum vulgare) - The yellow umbels of flowers are great as fillers in a vase and I love the height that fennel adds to a garden border. The hoverflies adore it. 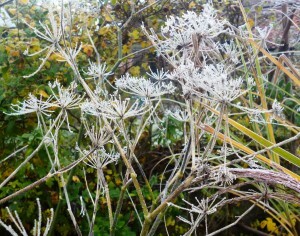 We leave the expired flower stalks on the plant over winter for sculptural interest. 4. Perennial wallflower (Erysimum 'Bowles' Mauve') - Ours flowers on and off practically all year round (I used the flowers in my Christmas wreath last year!) A very important food source for pollinators as it is so long flowering. 6. 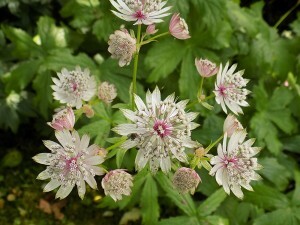 Masterwort (Astrantia) - Another perennial that is happy in shade. It has beautiful architectural flowers that last well in the vase and can be dried. 7. 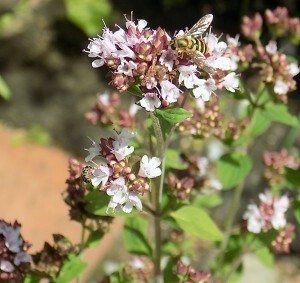 Oregano (Oreganum vulgare) - Great for cooking but it is the lilac clusters of flowers that I value. They are great filler flowers for arrangements and the foliage is a lovely fresh green colour. 8. 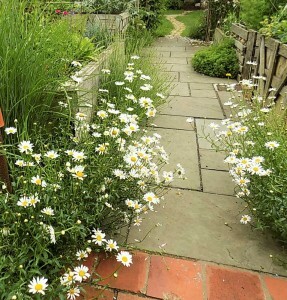 Oxeye daisies (Luecanthemum vulgare) - Can be a bit rampant as will self-seed everywhere but seedlings are easily pulled out. 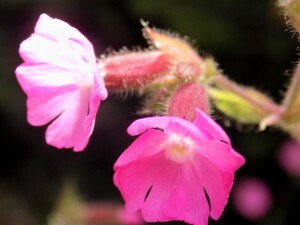 We have established clumps that flower in early summer for months. 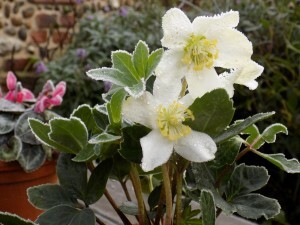 Will produce a 2nd flush of flowers later in the year if you cut them back after flowering. Long-lasting in the vase. 9. Giant scabious (Cephalaria gigantea) - You need space in the border for this large perennial but it produces gorgeous, large lemon yellow flowers. They are a mecca for bees and each flower can accommodate up to 4 bees at a time, as I have been witnessing this summer! 10. 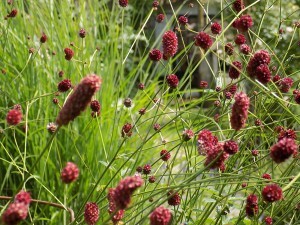 Burnet (Sanguisorba) - I love the red bobble headed-flowers of this plant which wave about on top of wiry stems. 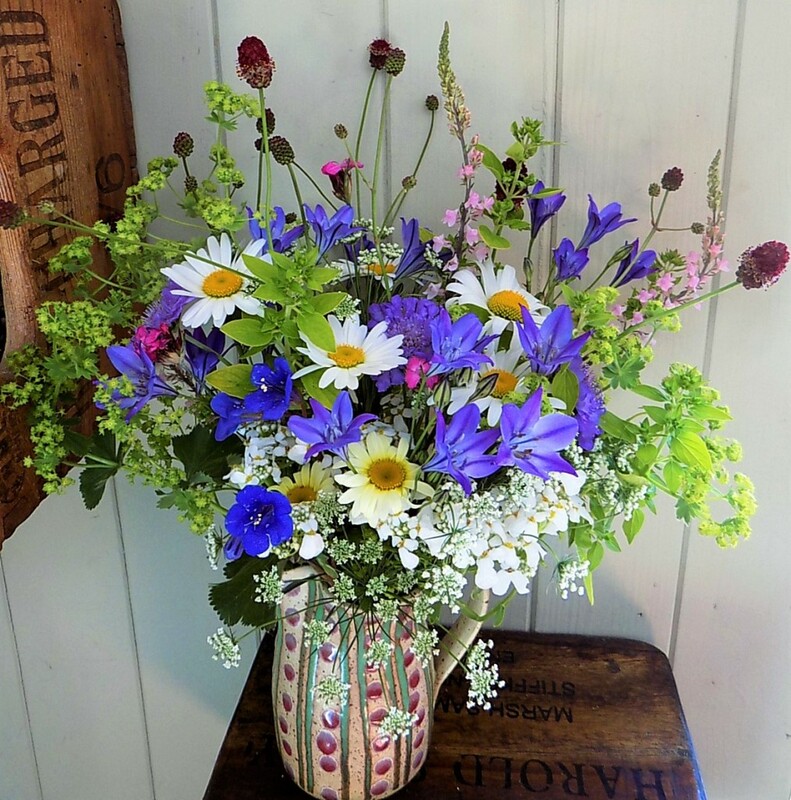 Long flowering all through the summer and adds interest to a vase of flowers giving it an individual feel. 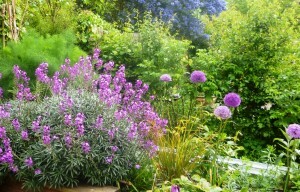 For more information on creating your own cutting garden from choosing which perennials, annuals, shrubs and bulbs to grow, to planning the layout, sowing seeds, harvesting and arranging cut flowers, please contact Jane about attending a 'Grow your own cut flowers' workshop.